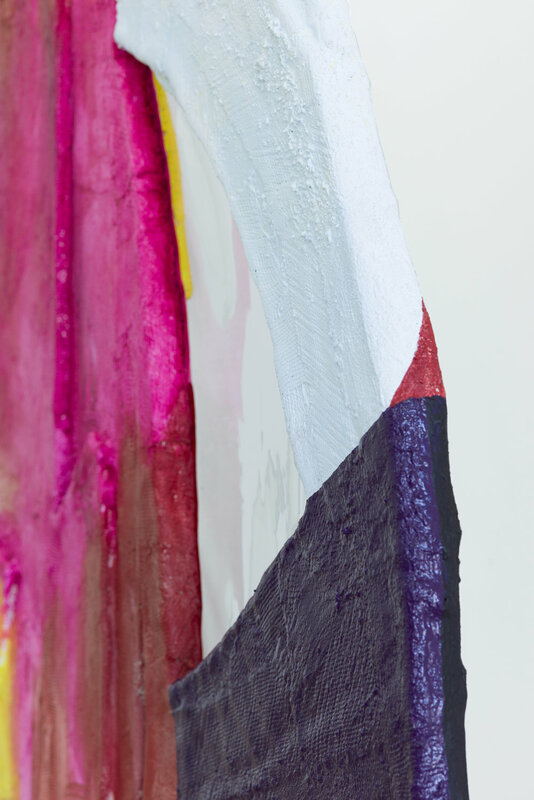 315 Gallery is pleased to present The Nervous Hand, a two-person exhibition featuring new works by New York-based artists Fabienne Lasserre and Ezra Tessler. 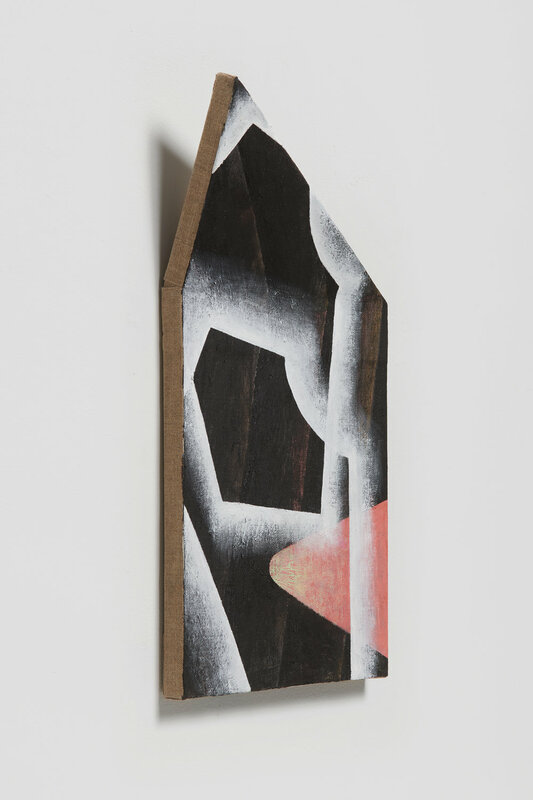 The show consists of Lasserre's large freestanding sculptures and Tessler's small shaped paintings. Each work is two-faced. Lasserre’s massive double-mugged tears confront the viewer on one side and conceal themselves on the other. Seen from one angle they are monumental but step to the side and they become sheer, barely there. 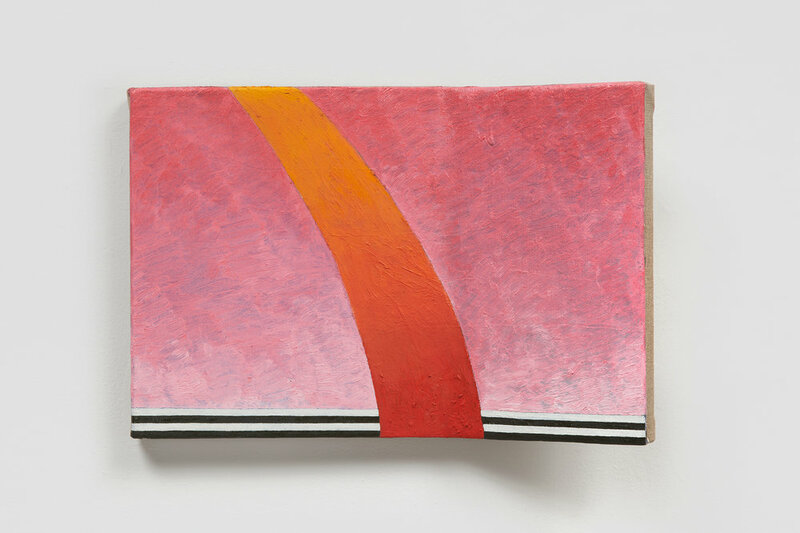 Meanwhile, Tessler’s modest paintings fold inwards and outwards toward the viewer. Rough-hewn forms cross the paintings' bright surfaces, offering condensed panoramas of unfa- miliar places and dimensions. For both artists, these objects face out but turn away: they want it both ways. As objects and images they depict many things at once: frames, mounds, arrows, drops, loopholes, and vistas for seeing in and around. Their overworked surfaces reflect the efforts of Lasserre and Tessler to carve out a place in a world filled with pleasure, sadness, anger, fear, and hope. Fabienne Lasserre grew up in Montreal, Canada, and lives and works in Brooklyn, NY. Recent shows include “Fabienne Lasserre and Annette Wehrhahn” at Safe Gallery (2016) and “Les Approches” (2015) at Parisian Laundry, Montreal. Lasserre has participated in numerous group exhibitions throughout the United States and internationally, amongst these, “Feed the Meter vol. 2” at Ceysson Bénétière Gallery, Luxembourg and “C.Ar.D. in città” (2015), at Palazzo Costa Trettenero, Piacenza, Italy. Other group shows include “Beyond the End”, Kadist Foundation, Paris (2014); “Outside the Lines”, Contemporary Arts Museum Houston, TX (2013); “Saber Desconocer”, Museo de Antioquia, Medellin, Colombia (2013); “La Triennale québecoise” (2011), Musée d’art contemporain de Montréal; "Come Through" (2010), Sikkema Jenkins & Co., NY , "Foreign Object" (2010), Regina Rex, NY, and "Hace Mucho que No Te Veo" (2010), at Espacio Matucana 100, Santiago, Chile. She is a recipient of the Sharpe-Walentas Studio Program award (2016-17) and the 2017 St-Gaudens Memorial Fellowship, has completed a residency at Dieu Donné Papermill (Workspace Program, 2012), and received two Project Grants for Visual Artists from the Canada Council for the Arts (2013 and 2014). Ezra Tessler grew up in Philadelphia, PA, and lives and works in Brooklyn, NY. He received an MFA in painting from Bard College in 2016. 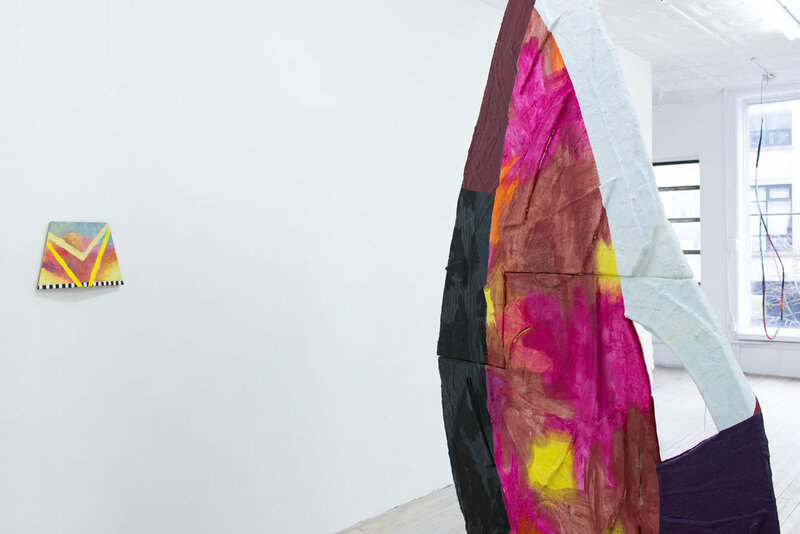 Recent one and two-person shows include “Ezra Tessler and Barb Smith” with Páramo in the New Proposals section of Zsona Maco and “The Red-Haired Man” at Good Weather. 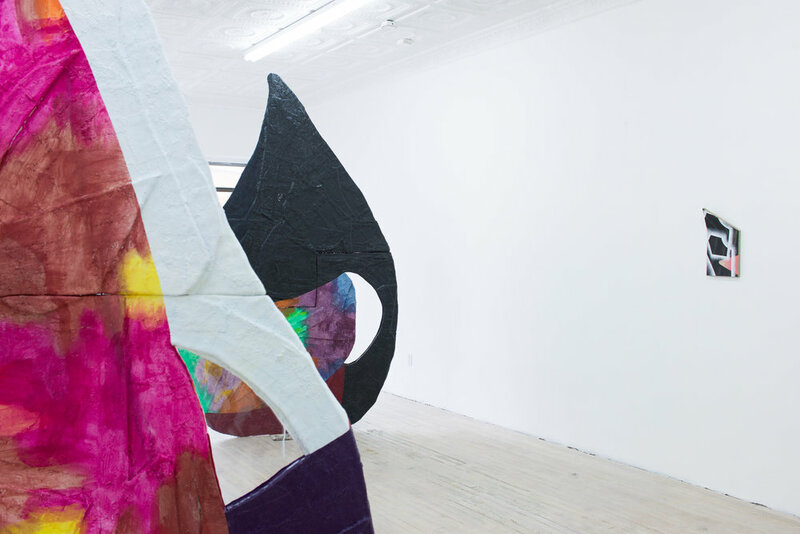 Tessler has participated in numerous group exhibitions throughout the US and abroad, includ- ing “Broadcast from Cedarburg, NJ” (2016) at Bannerette in Brooklyn, “Painters NYC“ (2016) at Páramo, Guadalajara, “Not a Painting” (2015) at The Hole in NY, “Panel Discussion” (2015) at Silvershed in NY, and “It’s a poor craftsman who blames his tools” (2014) at Junior Projects in NY. He has been the recipient of a Jacob Javits Fellowship, a Joan Mitchell Foundation Grant, and Pforzheimer Foundation Fellowship, and has been an artist in residence at Ox-Bow, SOMA in Mexico City, and the University of Tennessee at Knox- ville.